The Mousetrap is London’s longest running musical, showing in the West End since 1952 and famous the world over. As much as we may be fond of Agatha Christie, however, a “mousetrap” is clearly not what we aspire to when we think of a holiday house, or villa, to be more precise. In our modern age of internet exchanges and on-the-go marketing, it is easy to be fooled into renting what looks like a fairy tale castle and ending up with little more than a shoebox-house. Who would want that? 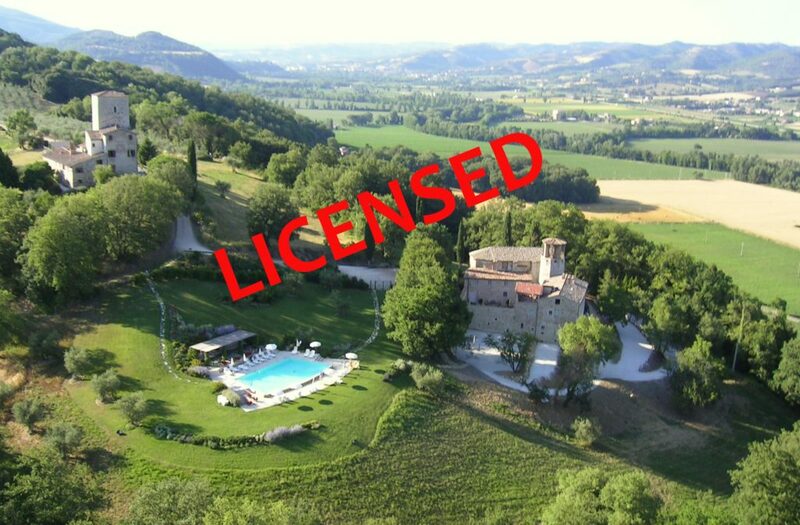 There are countless serious, meticulous agencies that guaranteed the highest standards for rentals, but we will focus on what renting a villa with a licence means, and why Le Torri di Bagnara, a private property composed of two stunningly restored castles and a standing tower with a licence, represents quite a different story altogether. WHAT IS A VILLA? AND WHAT IS A VILLA WITH A LICENCE? Historians will tell you that villas were ancient Roman country houses, revived during the Renaissance – chiefly with the outstanding Medici family, later with Palladio, and the term is – sometimes improperly – attributed to houses for rent the world over, which are independent of another connecting structure. You will find numerous examples of villas for rent in the most disparate locations the world over – by the sea, in the mountains, by a lake, with an infinity pool, set on a private park, with or without a private cook, but what most people fail to take into consideration is whether your chosen villa has a licence or not. In this context, having a licence does not simply mean that you are entitled to host paying guests by law, but that you will guarantee precise standards. Le Torri di Bagnara is a case in point, having been granted a hotel licence in 2004. Having a licence guarantees a superior degree of safety and security standards that have to be complied with by law. This applies to the buildings as well as the décor. Any failure in complying with these rules may lead to the removal of the licence. A serious business indeed. Each year, before opening our estate, we must check that everything is in order. The natural gas pipes must be inspected and their smooth condition certified by a legally authorised company. A sample of the kitchen table and the utensils has to be checked against any bacteria or virus. Indoor and outdoor disinfestation, carried out by an authorised company, which may be repeated during the opening season, if necessary. Each month, an authorised firm will make an inspection against insects and rats. Baits for insects must be placed in the kitchen, the bar and the food and beverage store room. A bacteriological analysis of the pool water, carried out by an accredited laboratory, that should be repeated at least once during the opening season. We are also required to have compulsory fire prevention tools: fire extinguishers, flame retardant upholstery and cushions and a fire and carbon dioxide detector in the kitchen. Since both of our structures have less than ten rooms, no fixed sprinkler system is required, but the aforementioned systems are enough. All the systems (electricity, heating, hot water, air conditioned, kitchen) have to comply with legal standards and are subject to regular inspections and maintenance. 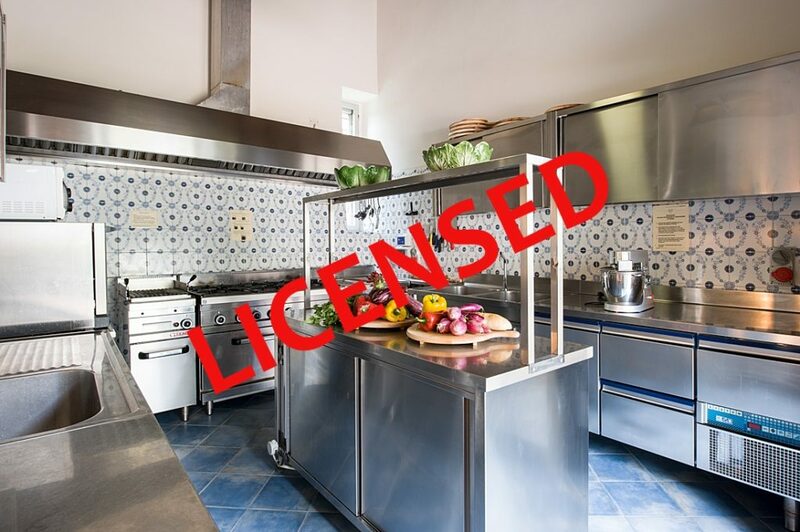 All the staff working at Le Torri di Bagnara is legally employed and has to attend training courses imposed by law (health&safety, first aid, HACCP), which may not be the case in a private house. A special broad Insurance is requested by Law to protect guests, staff, and property. of safety and security standards. Villas with a pool anyone? Who doesn’t want to dive in, when it’s a scorcher outside? But then “Ew!”, the water is cloudy and the tiling could so with some cleaning. This will not happen at Le Torri di Bagnara. A water bacteriological analysis, carried out by an accredited laboratory, should be done before re-opening the pool and in mid-season, so as to grant its utmost quality. A pool supervisor has to be appointed: he or she will test the water twice per day and adjusts PH levels, keep a daily journal where tests, cleaning, inspections, the products put in the water and used to clean the area around it are recorded. The latter must comply with law standards. there is a 1,5 metre travetine paved area around the pool to prevent from slipering. VILLAS WITH A POOL THAT ARE MERELY PRIVATE HOUSES (NO LICENCE): POOL DOES NOT FEATURES THE SPECIFIC SECURITY CHARACTERISTICS REQUESTED BY LAW TO A LICENSED VILLA. Pools of a private unlicensed house are merely “private” pools, intended for “private use”. They have not been authorized by Law to host paying guests and so they are not subject to the same superior degree of safety and security standards requested by Law to a licensed villa. So before booking a private unlicensed villa with a pool, ask if the pool has any security characteristic and device, who does the daily water test (unless you want to do it by yourself…), if the water bacteriological analysis has been made, ecc. The most common illnesses among travellers are generally caused by eating food or drinking beverages contaminated by bacteria, parasites, or viruses. This cannot happen at Le Torri di Bagnara since our licence guarantees a superior degree of hygiene standards that have to be complied with by law. Going on holiday means leaving your worries behind. ALL worries. This applies to cooking, as well. As much as we love to delve into local food culture – and Umbria is definitely RICH from this point of view – it is also pleasant to let our hair down and allow somebody else spoil us with his or her delicious meals. Our in-house chefs and kitchen staff are properly trained and follow refresher courses to guarantee the best on offer every two years – you will not catch them falling short of our extremely high standards. You may also learn new skills and will certainly enjoy your stay even more. Since we cater for several guests, for instance during one of the weddings we organise here, we have a special, separate Food & Beverages Authorisation ; we keep a daily record of the cleaning shifts, the courses attended by the personnel and any inspection held by the local health authority – the latter frequently happens and the last one was held in April 2018. What’s more, the kitchen exhaust requires a specific sewage treatment plant. In Italy private unlicensed villas are not subject to any hygiene standard. When you are on holiday, everything has to run smoothly. Nobody wants to spend time with a faulty air-con or the lack of hot water. Sometimes, however, glitches may occur: what to do? Your personal concierge will be ready to answer your queries, as well as helping you book a tour or give you tips on quaint local restaurants. We also have a local expert staff to design in advance your tailor-made program of activities and excursions, plan easy access to concerts & events, Golf, wineries, and much more. Here, again, our licence entitles us to boast ad-hoc trained personnel, and not improvised owners. 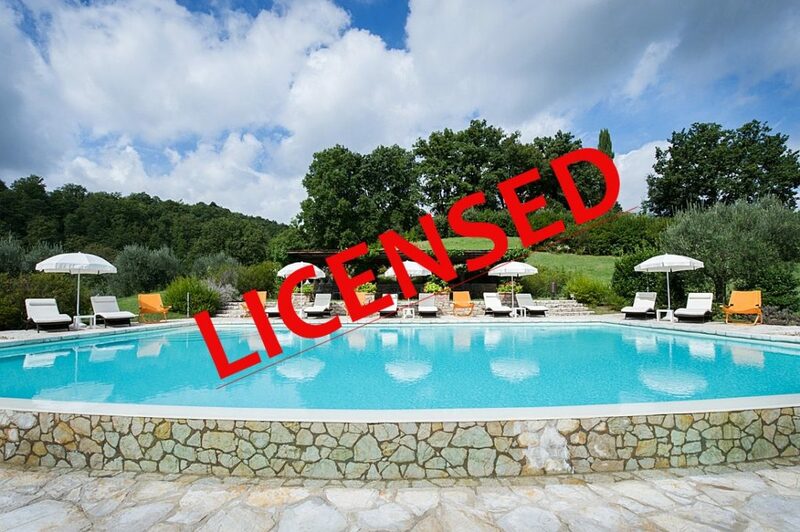 Private unlicensed villas cant’t have on-site staff to grant you from glitches since the Italian Law does not permit unlicensed properties to offer hotel services. Unlicensed properties can only offer a cleaning service. Licensed properties are obliged by Law to take out a Global insurance coverage (Civil Liability, Theft and Fire). In particular Third Party civil liability covers any kind of damages – direct or indirect – to persons or property suffered from Guests during their stay. Le Torri di Bagnara Castles Third Party civil liability insurance has a 2 million euro upper ceiling per each damage. Unlicensed properties do not have a Third Party Civil Liability Insurance since the Italian Law does not permit Insurance Companies to extend Civil Liability insurance coverage to paying guests if the house is unlicensed. You’ll clearly see that a private home with a licence implies many obligations, serious standards that have to be complied with and the investment of large amounts of money to respect all the requirements.